Every NHL team wants to be known as one that's tough to play against. With the acquisition of Steve Ott from the Dallas Stars during the summer, the previously pleasant Buffalo Sabres may have achieved that goal. 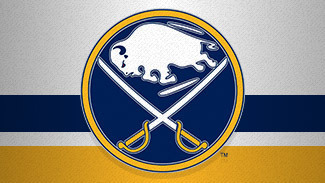 The Sabres have been known for years as a team that had plenty of skill but was a little short in the grit department. Ott, in contrast, is about as much fun to play against as an angry porcupine; he seems to take great pride in being hated around the League. He'll do anything necessary to win, and he'll step in if he thinks opponents are taking liberties with a teammate -- the Milan Lucic-Ryan Miller incident last season likely would have had a different outcome if Ott had been with the Sabres at the time. Ott's drive to win made him a fan favorite in Dallas -- and one of the least popular players around the rest of the NHL. Ott, acquired with defenseman Adam Pardy in exchange for Derek Roy, has no intention of changing his style with his new team. "I hope I can bring that attitude," Ott said after the July 2 trade was completed. "I want to bring my consistency of being hard to play against every single night. I feel I've done that since the start of my career, and I feel I have a ton of game left. I haven't even reached part of my peak yet." The 29-year-old was fourth in the NHL last season with 278 hits in 74 games. He said Sabres fans can expect more of the same. "It's something I pride myself in, being at the top of leading the League in hits every single year playing a physical, hard, complete style of game," he said. "That's what I want to bring, I'm not changing my style. That's something I want to do, I want to be as consistent as possible, playing a mix of hard hockey with some skill set along with it." Ott is more than just player who makes a pest out of himself. He had 11 goals and a career-high 28 assists for 39 points last season and has averaged 15 goals and almost 35 points in the past five seasons to go along with an average of 155 penalty minutes in that span, including 156 in 2011-12. He also won more than 52 percent of his faceoffs and has enough offensive chops to play a top-six role in a pinch. Regier said the trade marked a change in philosophy for a franchise that has missed the playoffs in three of the past five seasons (including 2011-12) and was one-and-done in the other two. "I think more than anything else we needed to move the balance of skill versus the physical nature of our game and become a tougher team to play against," he said. "You need a blend of skill and grit and we were heavy on the skill side. The adjustment we wanted to make was to add to the grit side." Judging by Ott's first Twitter message after the deal, Regier will get just what he was looking for. "Now to my new Team Buffalo, I can't wait to Rock the East," Ott wrote.